It was Anirban Lahiri's second finish inside top-35 in three weeks on the PGA Tour, where he has a full card for the first time. It was rookie Lahiri's second finish inside Top-35 in three weeks on the PGA Tour, where he has a full card for the first time. 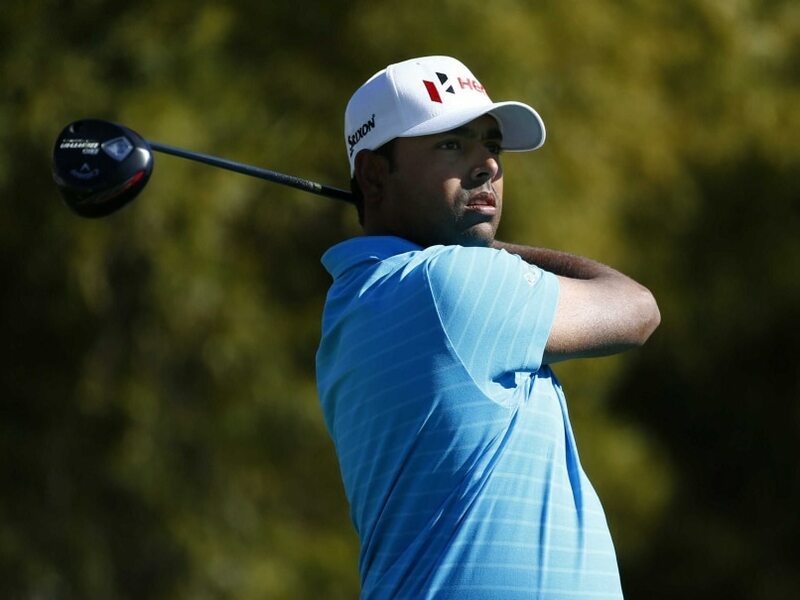 Lahiri, who opened the week with a stunning five-under 66 that gave him a share of the first round lead in a PGA Tour event for the first time ever, had slightly a rough time on the greens thereafter. But the 28-year-old, who won twice in three weeks in Malaysia and Hero Indian Open early last year to hit the headlines, had four birdies, three of them on his second nine, the front section of the TPC Scottsdale, and two bogeys. Lahiri's putting was again some up-and-down but he held himself together well on the second nine for three birdies, including two over 15 feet. Japan's Hideki Matsuyama, who turns 24 on February 25 and is a friend and Presidents Cup teammate of Lahiri, scored a stunning win over Rickie Fowler in an epic four-hole play-off. Three behind overnight leader, Danny Lee, Matsuyama was two behind Fowler with two holes to go. Matsuyama birdied the 17th and the 18th, while Fowler bogeyed the 17th and needed a birdie on 18th to catch Matsuyama, who won the Memorial in 2014 also in a play-off. Matsuyama and Fowler were tied at 14-under, while Lee slipped to 11-under and fourth place, as Harris English (66) was third at 12-under. Fowler was undone by the 17th, where he hit into the water in regulation for bogey and then again put his 5-wood into the lake at the same hole in fourth play-off hole. Matsuyama had birdied in regulation and in play-off he two-putted from six feet to win the title in a dramatic playoff in front of another big crowd at TPC Scottsdale's Stadium Course on a sunny day with the temperature in the high 70s. This marks Matsuyama's eighth top-5 finish since the start of the 2014-15 PGA TOUR Season (29 starts), a current record. Matsuyama was second behind Brooks Koepka at Phoenix Open last year and he has gone one better. Fowler missed a chance for his fifth worldwide win in nine months. Danny Lee, who began the final round with a three-stroke lead at 13-under, struggled in the final round, posting a 2-over 73, good for fourth-place honors. Winner three times here, Phil Mickelson in his 27th start at the Waste Management Phoenix Open posted a final round, even-par 71 to finish T11 at 8-under 276.